All transactions are safe and secure with a reliable history in online purchasing behind each of our associates. Buy the Vertigo t-shirt to own Alfred Hitchcock clothing and merchandise. Hidden among all these fantastic Alfred Hitchcock shirts is this mind blowing Vertigo t-shirt. The movie was released in 1958 and stars actor Jimmy Stewart who is featured on the poster. It is available in a large selection of colors bound to suit your needs. If you haven't seen this Hitch hit yet, it will surely play on your fear of heights, even if you didn't know you had one. Wear it as you catch up on all of his classic thrillers. 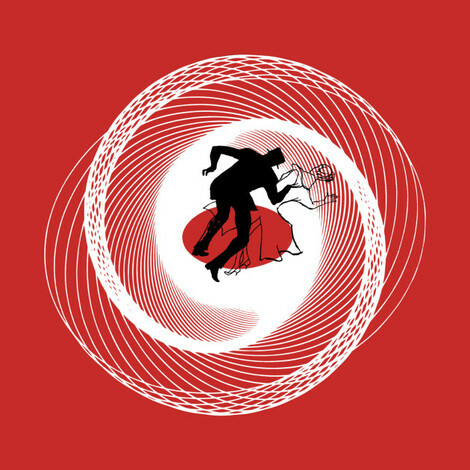 In addition to the Vertigo tee above, browse the Alfred Hitchcock Clothing Gallery for more apparel like men's and women's clothes, kids shirts or hoodies.